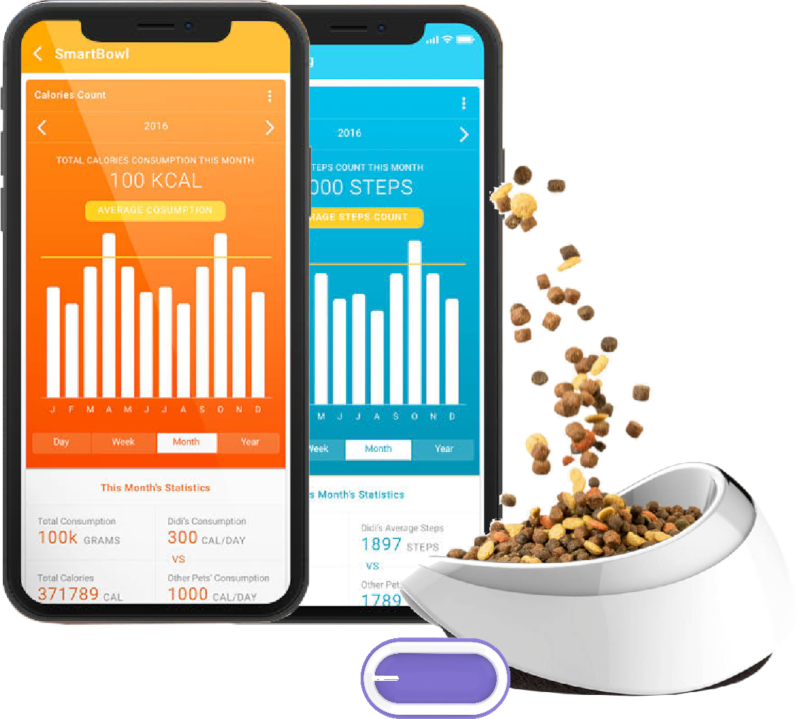 The revolutionary PETBLE Health monitoring system makes it possible to keep daily records of your pet’s exercise (energy expenditure) with food intake (energy consumption) and easily share those insights with your veterinarian on your next visit. Over half the nation’s dogs and cats are overweight. Clinical obesity in pets can lead a number of serious health issues including diabetes, heart disease, kidney failure and liver disease. 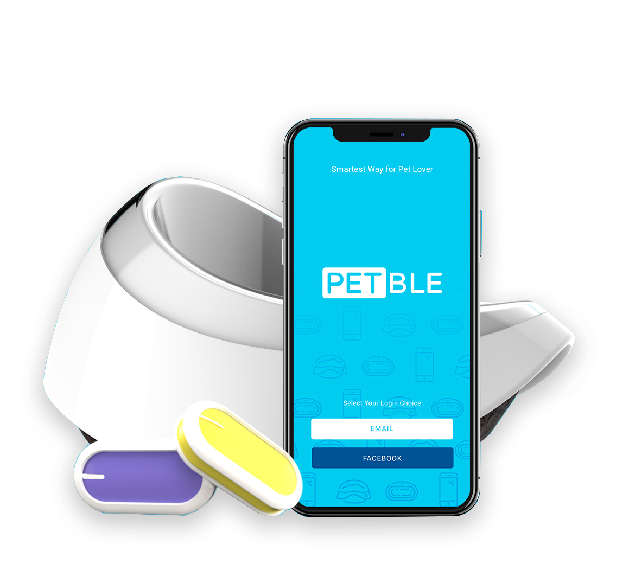 The PETBLE SmartCare System is the first to combine the tracking of activity and food consumption to give owners a more complete picture of their pet’s health and notifying them of any behaviors that indicate their pet is at risk. The PETBLE app syncs to the SmartTag and SmartBowl to give pet owners the full picture of their pet's health. 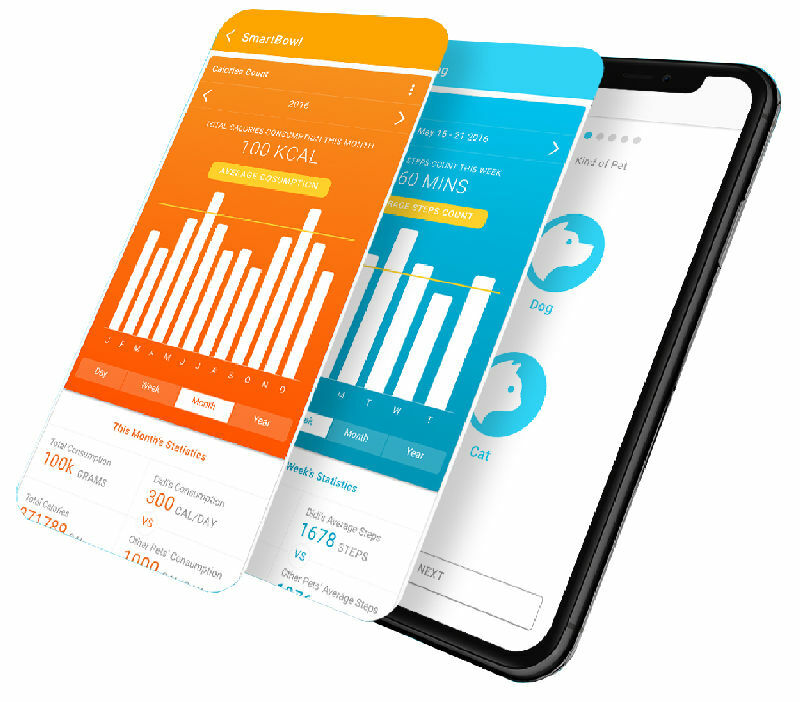 Using the app, pet owners can get daily, weekly, and monthly activity data and feeding patterns, keep their pet's healthy with a tailor made diet and exercise plan, and help ensure your pet gets the right amount of food every single time. "The app helps me do my job better. Our vet warned us that even being slightly overweight at this age could lead to a host of other health problems down the line. During our last visit, our vet was super impressed by Charlie's healthy weight! Thanks PETBLE!" The PETBLE Smart System allows pet owners to be more proactive about record keeping, which in turn helps me make a better diagnosis!"